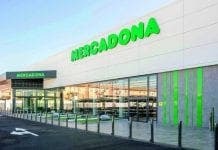 MERCADONA is to pay all staff a minimum 1,260 euros a month thanks to a new collective agreement between the store and its workers. The five year agreement will also create will also create 1,000 new jobs, with all new staff being paid the same base rate. 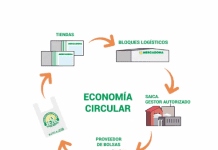 According to Mercadona the agreement allow the company to achieve stability through productivity, their business in the medium and long term objectives. Director of staffing at the company, Francisco Aparicio, said that with this agreement “we dedicate all our efforts to improve productivity, and continue to invest in innovation, service excellence and process efficiency to ensure sustainable growth”. The company want to increase their workforce of 74,000 people by another 1,000 between now and 2018, from the new collective agreement and plan of equality. The company has also established what they call “pioneering” measures in the agreement, extending the reduced working hours to care for children until age 10, the extension of childcare leave until the child reaches the age of eight, or the possibility of extend the leave of up to three years in cases of violence. Great news…they’re definately keeping our grocery order. Well Sr Aparicio, I hope there is a corresponding level of improvement in your level of “service excellence”.